As we start to look forward to New Years Eve, we thought that you would enjoy a warm up and a taste of things to come. 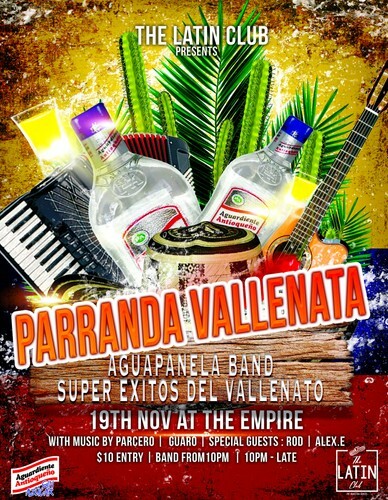 With Auckland's only Vallenato band and The Latin Clubs superstar line-up of DJ's from across South America, you are sure to have a great time! We are also excited to have access to The Empires new Rooftop Bar, with views of the Sky Tower and the perfect place to take in the awesome music from the stage below. So why not book a table in this VIP area? Let's come together to enjoy the party!